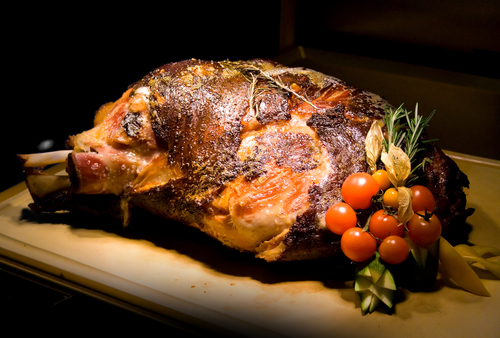 Carvery best leg of lamb online with the aitch bone removed to make carving easier. Our best legs of lamb online come from what we butchers and farmers call ‘fat lambs’. They are called fat lambs as they are allowed to mature naturally so they get a normal bone to muscle ratio and you get a nice big leg of lamb with much higher meat to bone ratio. The lambs are fatter as they have been allowed to mature properly and not fed growth enhancers or other unnatural foods. TOP TIP: take a pointy knife and make small incisions into the meat and push in slivers of garlic & rosemary into the incision for a fuller flavour.